2016-17 Barrie Colts Home Opener Laser Intro. #OHL (Video) - Very Barrie Colts | A website covering the Barrie Colts of the OHL. 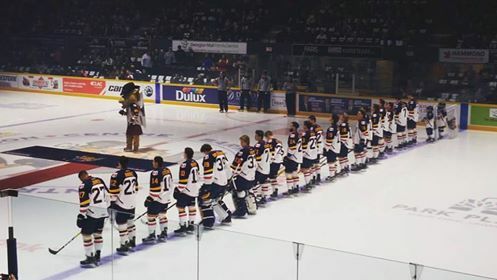 If you were at the game last night you probably noticed the new laser intro at the Barrie Colts home opener against the London Knights. If you did not attend the game or just want to relive the intro we got some video of the laser show. Excuse the poor quality but I did the best I could with a cell phone. Also, here are you 2016-17 Barrie Colts!